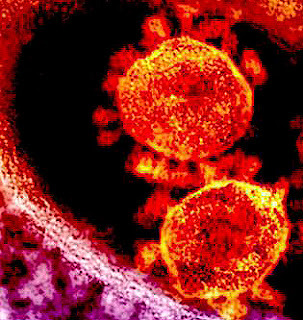 Thai authorities took nearly four days to confirm the country’s first case of Middle East respiratory syndrome (Mers), the health ministry has said – a time lag likely to raise fears of a further spread of the deadly virus in Asia. 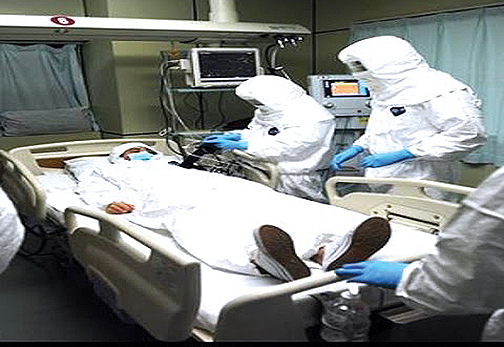 If indeed MERS is "not airborne" or "easily spread" then WHY have these doctors placed infected patients in negative airflow rooms and WHY are they wearing BSL-2 bio-suits in this image? 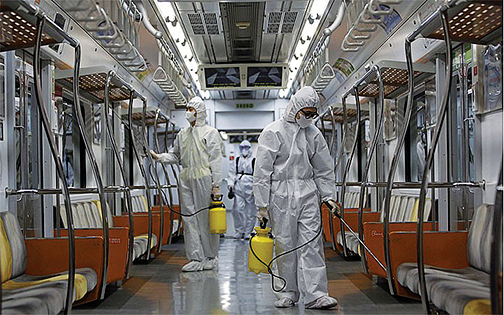 IF, as Margaret Chan and the WHO liars are correct in stating that MERS is "not easily spread" then WHY are these Hazmat suited workers hosing down public transportation with disinfectant? 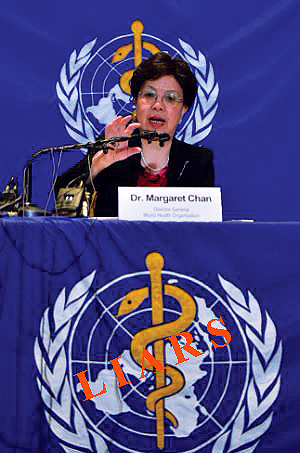 “Given the current developments, we have judged that it has levelled off, but we need to watch further spread, further cases from so-called intensive control hospitals,” the South Korean health ministry’s chief policy official, Kwan Deok-cheol, told a briefing in Seoul. 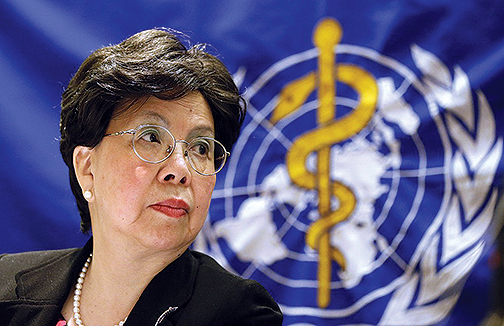 IF Margaret Chan is correct in stating that the public has "nothing to worry about" with regard to contracting MERS then WHY are thousands being quarantined by the South Korean authorities and WHY are public streets being gassed with disinfectant? 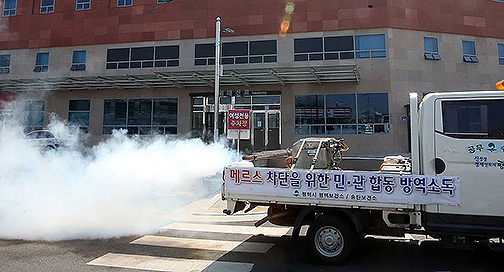 As part of those efforts, South Korean authorities were contacting nearly 42,000 people who had visited a hospital in the capital, Seoul, which is at the centre of the outbreak, with half of the country’s infections happening there. Thailand was screening passengers from countries seen as at risk of Mers and stepping up public information about the virus, another health official said. 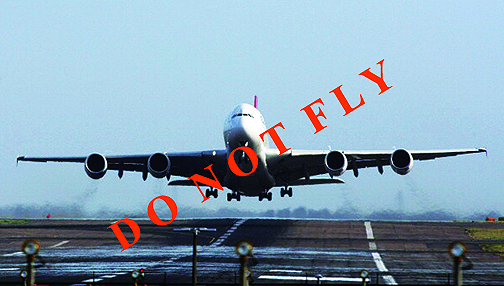 The Middle East is an important source of tourists for Thailand, with arrivals from the region up by nearly 50% in January, according to the tourism office. 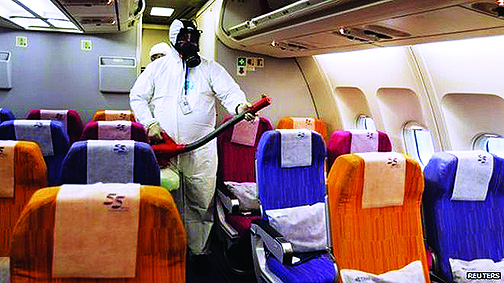 Bangkok is also one of the region’s main aviation hubs.